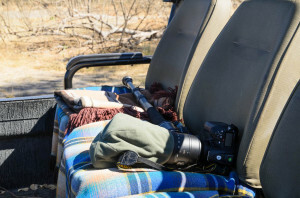 2012 has seen me in Africa for 5 weeks in 2 trips – I had no Safari photography experience and so spent a lot of time researching what was needed before the first trip. 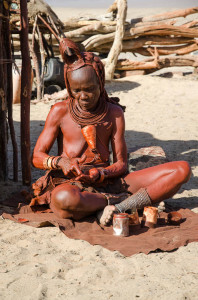 The best article I found was Digital Safari Equipment Tips by Nathan Myhrvold and to be honest you need to read it as I am not going to do such a comprehensive job. However Nathan wrote this in 2007 so there are some issues due to the 5 years from a technology perspective plus I have taken a different approach in certain issues. After taking 15,000 photos (selected photos in gallery), in two trips and created 2 books I’d like to share my thoughts. Note: I photograph in RAW and so should you. I use Lightroom … and so should you. Otherwise you are going to think about a whole host of other issues that I am not going to discuss. 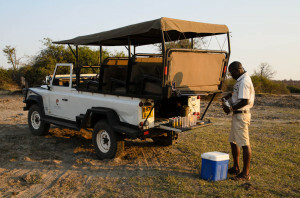 We spent our first trip in Botswana mostly on Concessions and then sometime in Chobe national park our experiences are similar to Nathan. On the second trip we drove ourselves in a Landrover Defender around Namibia; in which you can make your own day – it is cool being able to spend many hours by one water hole, often on your own, you see much more (I might do a blog one of these days). When driving yourself you initially miss the Safari vehicles openness and the skills of the guides to get your photo position right (where the animal will go next – get The Safari Companion: A Guide to Watching African Mammals , how to get level with the animals eyes, avoiding those mid ground bits of grass that mess up focus and the sun/shade). This critical! The vehicles are all different (some discussion coming) and the size and weight of your lens is important. Briefly jumping ahead, I did not use a large prime, I used a Nikon 70-200mm f/2.8 and occasionally with x2 convertor, this works (see later), so I did not follow the gimbal head advice. I believe my approach would work with a large prime but I have not tested it at length – the guys at Robert White where fantastic and say the birding chaps use the method I will describe. All cameras had a Really Right Stuff L-Plate and I changed the 70-200 foot plate to a Really Right Stuff. You need an easy fluid workflow, during which you don’t strain yourself, that lets you rest the lens/camera with a dust cover (I use a micro-fibre towel) and quickly gets you in position for the shots. 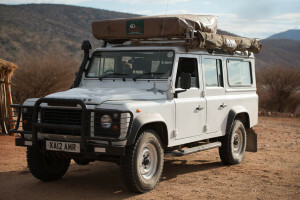 Self-drive 4×4 are easily addressed. You cannot get out of your vehicle so you have to reach to the back seat for the camera and bean bag. Yup you have to rest the bag on the half raised glass. 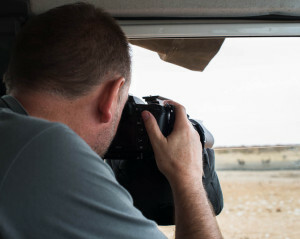 They do actually stay on even in rough terrain but the beans shake down and eventually the lens ends up on the glass. If you’re driving getting your vehicle position right is critical – then switch the engine off – I learnt this the hard way, you cannot get tack sharp pictures with the engine on – also if you have to move the 4×4 it draws attention to yourself. The monopod method (see next) is also OK in a Defender however there is too much manipulation and you end up hitting your partner with the monopod. I used a Stealth Gear Double Bean Bag from Wex couldn’t fault it. I used Haricot beans and took all the 500g bags the “supermarket” had in Windhoek, which was x5, I tried this in the car park but it was not enough so got x2 500g bags of another bean and really could have got another one in it. Both attachment methods worked brilliantly however the vibrations and dust are significant. Your camera cannot stay on the ballhead. I stopped using them quickly – you do not need them. The monopod is great without ridged attachment if you set the ball head such that the friction is such it will bend 60-70 degree the lens rests on your thighs (with towel or fleece hatcovering it) when not in use. The camera/lens can be up and straight AND level in a flash. On the Arca Swiss quickset I marked with inedible white pen the balance points for lens with and without convertor. I tested this briefly with a 500mm f4 and it worked great … except (see later). Northern African closed vehicles with opening roof it would seem a bean bag is the approach but I have no experience. Animal movements and blinking necessitate taking a few frames per second to avoid disappointment however my observation is that if you go faster than 4 fps you just end up with more out of focus shots. Perhaps “Autofocus mode: AF-A” doesn’t flip to AF-C accurately enough? Once locked you are reliant on the camera/lens focus ability. In modern lens this is a camera issue. Also note that many cameras have a f/5.6 limit when used with convertor. The new D800 and D4 have a f/8 limit. So what I am saying is that having a camera with leading auto focus ability is more important than frames per second. I noticed a big difference between my D7000’s and D800, although the D7000 is still pretty good. One area where both camera’s are similar is buffer capacity which is around 11 frames for the D7000 and 16 for the D800 – this another reason to keep fps down as the action, whilst possibly frenetic with a kill, lasts longer than a 2-3 seconds. You need a D4 or D3s if you are serious but in 5 weeks I possibly missed a few nice frames on four occasions and in three of the four I got some good ones, in one I missed the keys shots of the action. I am just going to discuss Animal rather than Landscape (I mostly use a Zeiss 21mm Distagon T* f/2.8 for Landscape – look for later posts [addition: here it is]). When I went on my first trip I spent ages reading and worrying what to do. At the time I had a Nikon D7000 which most people say is a perfect camera for Safari as it has decent focus ability, good high ISO capabilities, 16 Megapixels, good frame per second at 6 and DX frame giving x1.5 multiple on focal length of lens. Of course the multiple is a bit artificial especially if you have a FX with 36 megapixels (more of later). The D7000 is affordable, so I bought a second body and started worrying about the lens. 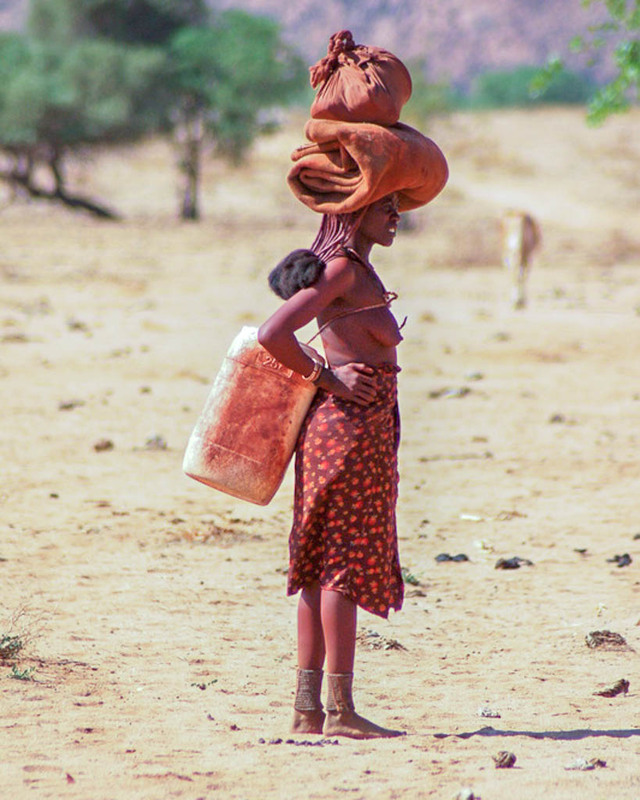 The 70-200 is the only affordable one but the others can be easily hired with insurance for Africa. On the first trip we had limited luggage with 20kg on the small plane transfers. However in the end I had 10Kg clothes and 13Kg of cameras and we were never asked about luggage at all. Plus I read that with the concession you get really close and so a large lens is not needed? Anyhow the D7000 with 70-200mm f/2.8G ED VR II with TC-20E III Teleconverter has a theoretical reach of 600mm and so that is what I took. Generally the other D7000 had a 16-85mm f/3.5-5.6G ED VR AF-S DX NIKKOR on. In summary, apart from birds, it has been perfect and I would recommend the combination. 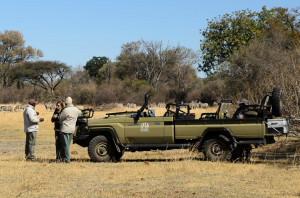 The concessions are great – I have been 2.5 m from lions eating a Zebra they have just killed. In the parks you just don’t see what you’re missing but in Chobe you can drive by the river where most things happen (at least in dry months). 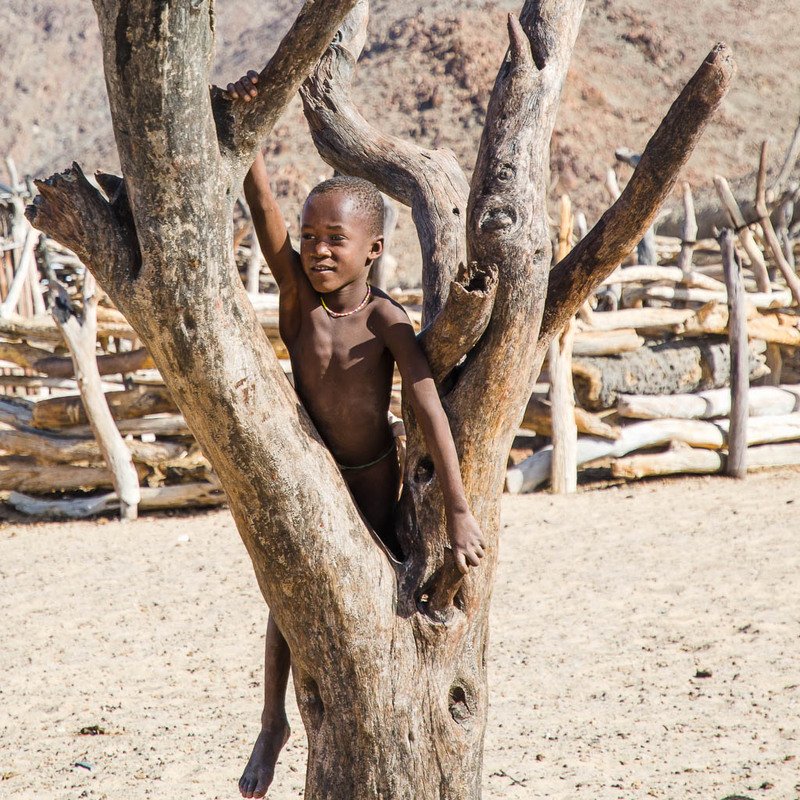 For Namibia I was more interested in Landscape and as mentioned I bought a D800 and a Zeiss 21mm. I only got these a couple of weeks before we went and so I stuck with my D7000 70-200 combo for wildlife and used the D800 with a AF-S NIKKOR 50mm f/1.4G as backup for a bit of breadth or close-by animals. Looking through the images on getting back I wonder if the D800 might have been a better option!? I met people with both the 300mm and 500mm both are beasts especially the 500mm. I feel that the shipping issues, the workflow problems, the back/shoulder strain issues and support problems really mean you have to be a pro that goes down the gym to use these lenses. The exception is birds – I have some nice shots but very few great shots. However does the bigger reach solve the problem? 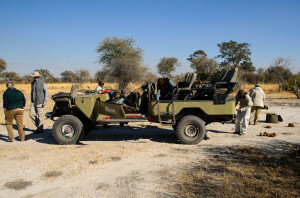 I suspect general Safari is not the ideal approach to birds and you need to go on a dedicated birding Safari and spend more time/technique getting nearer the skittish sharp eyed little buggers. 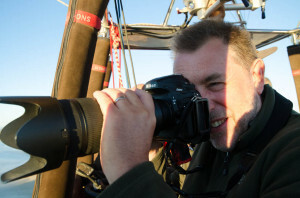 To get tack sharp images you need to use a high shutter speed with long reach lens, same number or higher (e.g. 200mm with 1/250s, 400mm with 1/500s). At f/2.8 at 200mm with the subject 20m away you have only 50cm front and back depth of field (DoF), at f/5.6 about 1m as the distance drops say 10m it is f/2.8 – 14cm; f/5.6 – 25cm so you might need f/8.0 – 40cm to get a whole animal in focus. I leave the camera in Aperture Priority and have Auto ISO on with max ISO 3,200 and lowest shutter speed of 1/500s (on the D800 it adapts to the lens which is great!) you have to keep a close eye on the ISO and always roll back to f/2.8 to get the least noisy image. It perhaps acceptable in the golden hours to have a slightly noisy image but daft using f/8.0 on a small animal at noon especially if the ISO goes over 800 on the D7000 (the D800 looks amazing at 3,200). This is the commonest mistake I made – forgetting to roll back to f/2.8 (or f/5.6 with TC). The other problem is knocking the mode dial on the D7000 from “A” to something else, say “S” and not noticing for several, critical, shots. For backup I took a laptop (fast MacBook Pro with Retina display and 500Mb SSD) with two rugged USB 3.0 1TB drives. I used Ingestamatic to download to the MBP SSD and simultaneous backup to one of the external drives and then autoloaded into Lightroom 4.0. I used Ingestamatic because of better file labelling, GPS linkage but mostly x3 faster upload from the SD card than just using Lightroom. If had time I would pick and reject images in Lightroom and once done I would synchronise my Lightroom directory with the second harddrive using ChronoSync. In lodges and camps they will have 240v some of the time (in the lodge not your room) and they are usually have UK or South Africa sockets. I took a power surge protected UK four block with a South African convertor and had no problems – except I only took one each of the required leads and I lost my USB to Mini USB cable and thus GPS Tracker on the first trip (second trip I duplicated all cables). I also took a double battery charger which was 240v/12v for my EN-EL15’s and had four batteries. This was a Pearstone Duo Battery Charger for Nikon EN-EL15 from B&H in the USA and cost a lot for shipping; I saw something similar in Camulet recently. I stuck an inline 10A fuse on the clip on and took spare fuses. I also took slow blow 8A 32mm glass fuses for the items with these in the male cigar adapter. We blew x2 10A fuses and x5 8A fuses in three weeks! I also took a 100Wh Hyperjuice for 12v charging of the MBP both in the Landy with engine running and when the engine was not on. 85W is like leaving your headlights on and the MBP take 5 hour for a full charge. The Hyperjuice was brilliant and also had USB output as well. As a backup I had a 100w invertor with UK socket which I never used but I lent it out to others. I suspect a local birding spot would be the ideal as they are by far the hardest animals to capture. And whilst I am at it perhaps I should practice approaching birds having reviewed this posting. Have I got the right lens combination or should I hire something bigger? This has got a big post … if you’re interested ask. 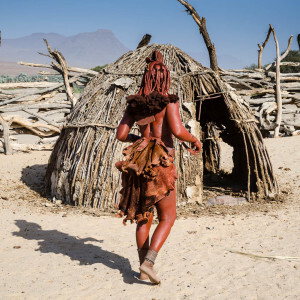 I am not sure if this is a location guide or just me talking about my few hours in Deadvlei (24°45′35″S 15°17′31″E) which is part of the Namib-Naukluft National Park in Namibia and is near the Sossusvlei pan. 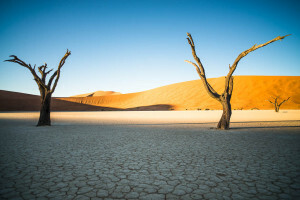 Deadvlei has become an iconic location for photographers and we extended our 3 week trip driving around the Northern part of Namibia (3,600km offroad!) just for a dawn shoot in the pan. Namib-Naukluft National Park is a desert and whilst even slight rain would enable the trees to survive; some 900 years ago rain failed to arrive in time for the Acacia trees in Deadvlei. It is amazing after so long the trees still stand in their surrealistic environment. 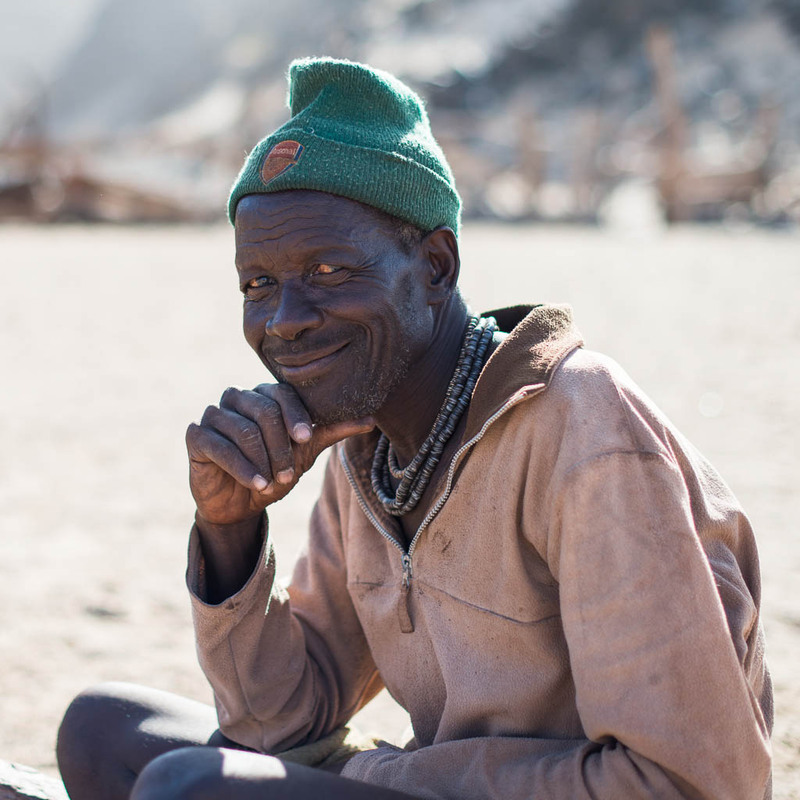 Whilst we all search for golden light it is really important in Deadvlei because the ground is so white, the sun bright and there are deep shadows from the high dunes it gives many stops of contrast. But at dawn it is magical. The park has gates which close at 6pm and are locked until 7am! 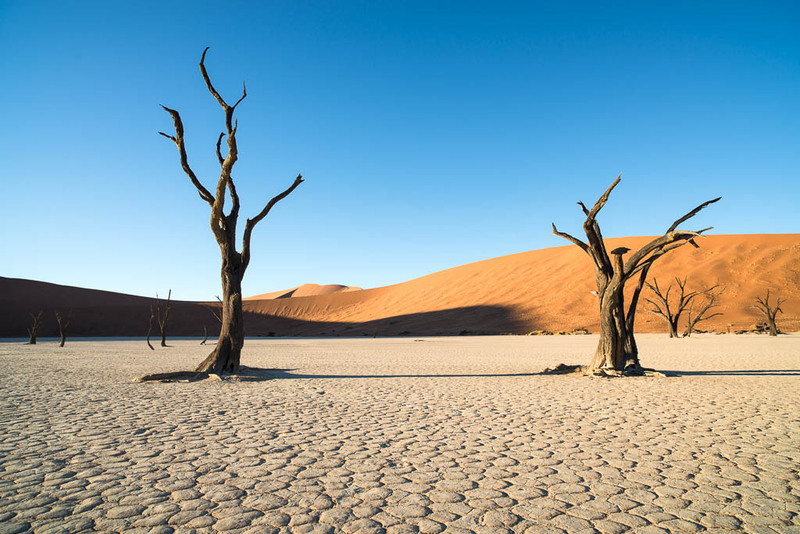 Deadvlei is some 65km from the gate and the last 6km is rutted sand. 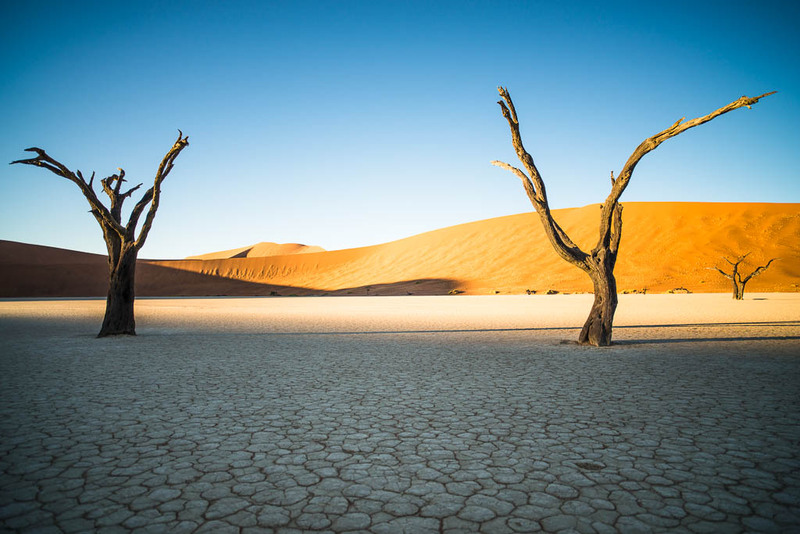 There is only one way to see dawn in Deadvlei – you have to stay at Sossus Dune Lodge which is run by the parks and is inside the gates with private access. Actually it is also the only way to see the sunset from Dune 45 as well. The lodge has guided tours when we where there they went up the big dune for sunrise and then into Deadlvei (too late). If you do it yourself you need a 4×4 (preferably with Diff Lock … if not drop your tyre pressure to 1.5 bar), its not bad sand but then we had a lot of worse experiences. Stay in high box 2nd or 3rd and keep going with meaning grip steering straight and tolerate your tail weaving about. If you get stuck don’t dig yourself try to reverse and get going again. We left at 0430 its a 45-50 minute drive to the “parking” area – the second one 6km after the end of the road. You need 20-30 minutes to walk in and then however long to setup/work out shot list before it all starts to happen … which it does at an alarming rate. There is a sign in the parking area saying follow the posts … the posts have gone! We made the mistake of following our fellow guest (with guide) up the dune to the left. Dunes are really hard work. We eventually saw our mistake. The pan is to the right of the Dune … so walk the 1.1km slightly right of the sign telling you about the posts to follow – unless there has been a lot of wind the lower path is still visible in the sand. None of the trees are really close to the dunes think about focal length / DOF beforehand; I started with a Ziess 21mm and moved to Nikon 70-200 once the sun was on most of the pan floor. The day before we did a balloon flight and there was thick fog in the dunes, great for us glad I wasn’t in the dunes. 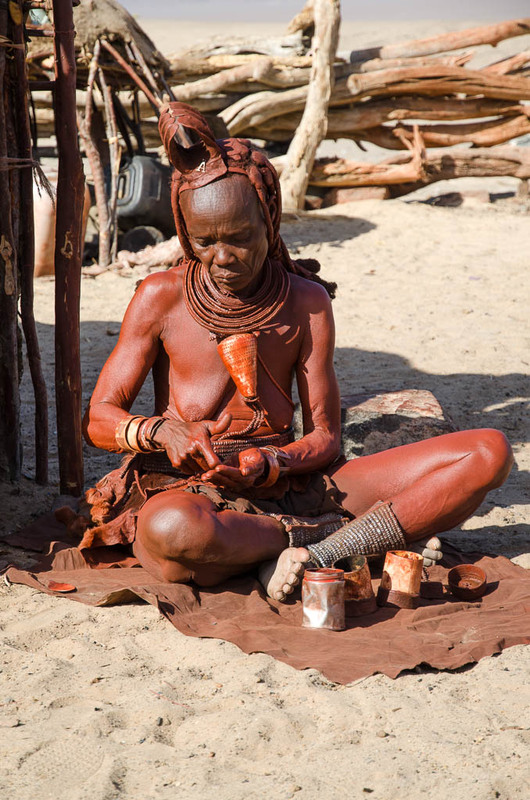 PLease have look at the shots in my Namibia gallery.